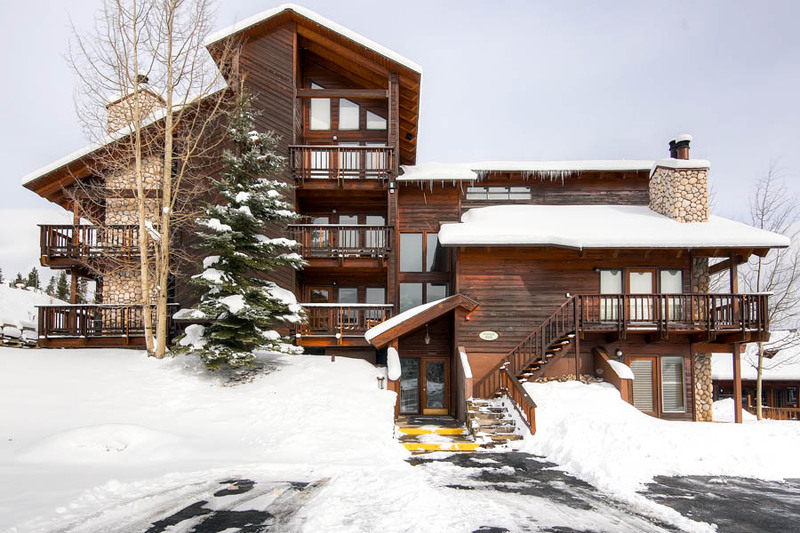 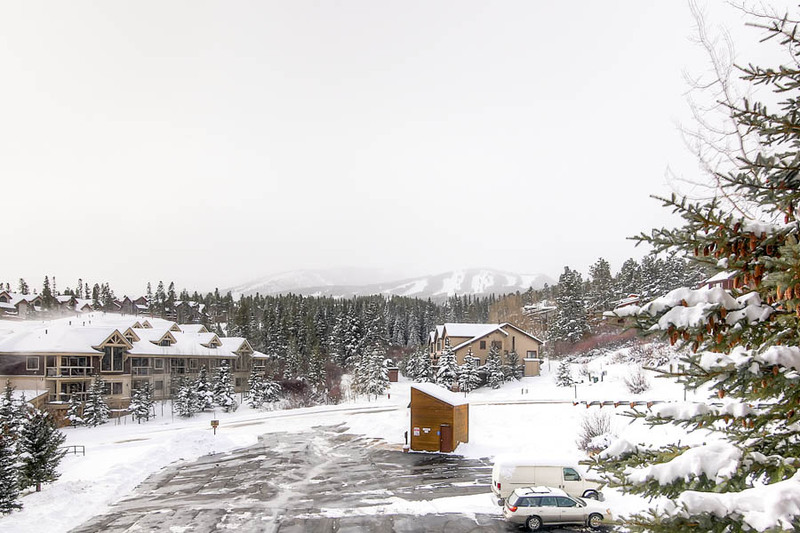 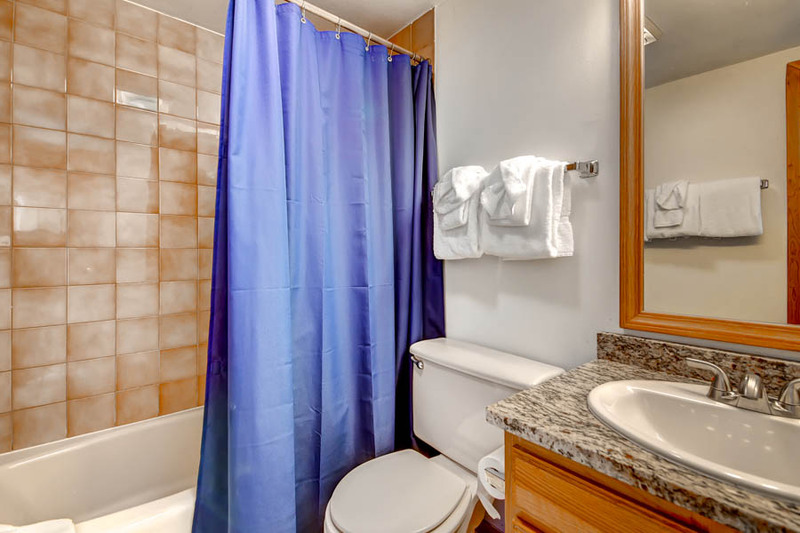 This spacious 1-bathroom deluxe studio condo sits less than 100 yards from the Snowflake Lift with spectacular mountain views. 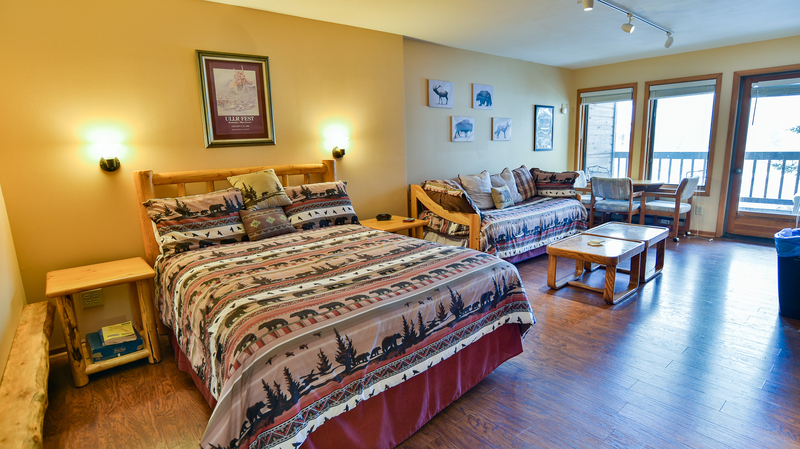 It’s a perfect getaway for couples, small families or groups of up to four people. 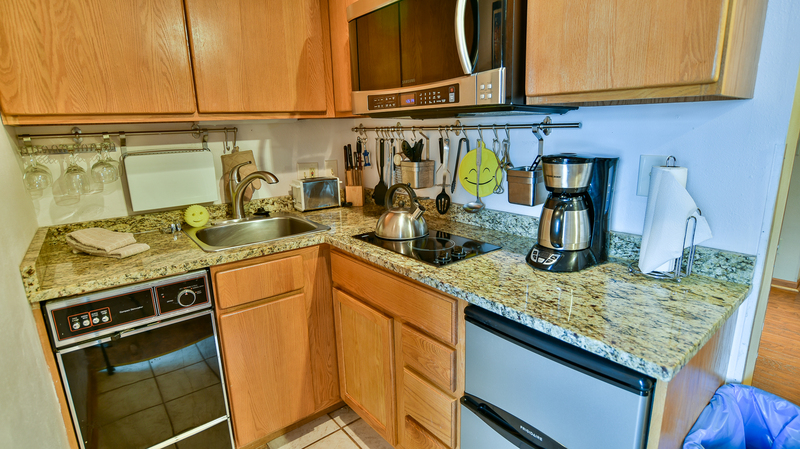 The fully equipped kitchenette features granite counters, a two-burner cook-top, a microwave, a refrigerator and a dishwasher, as well as seating for four at the dining table. 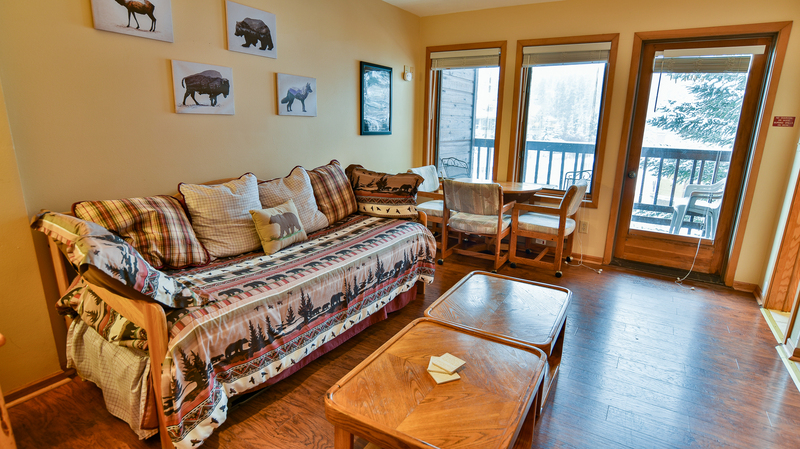 The large LCD TV is mounted on the wall for ease of viewing while relaxing after a day on the mountain. 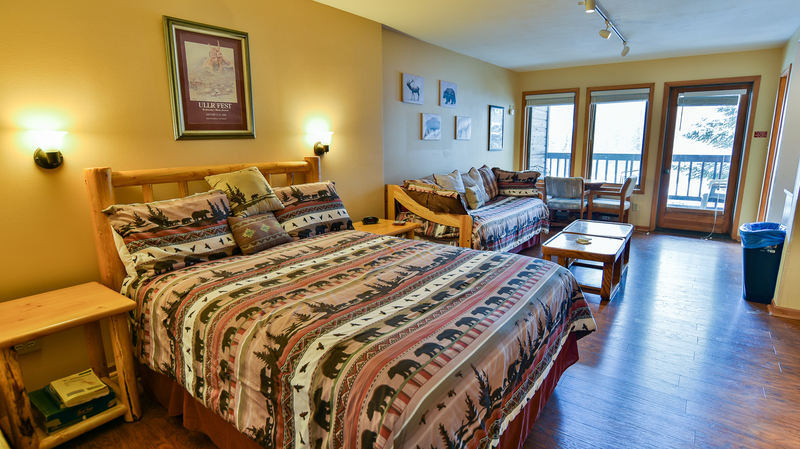 Or step out onto the balcony to take in the beautiful views of Peak 8 and Peak 9! 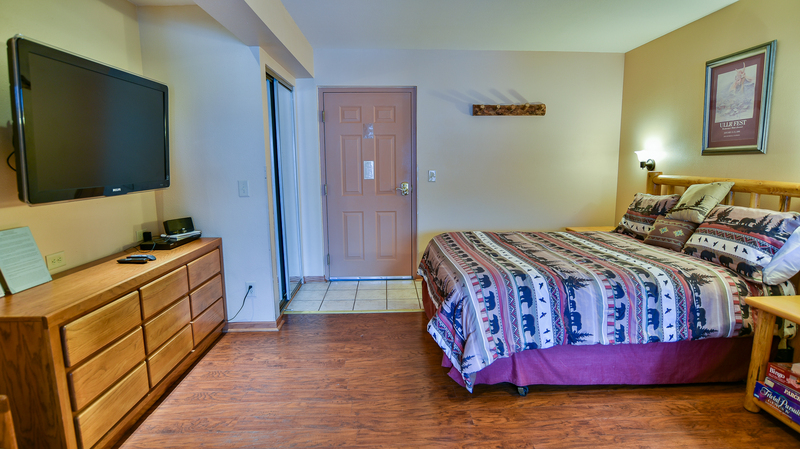 Other amenities include complimentary Wi-Fi, shared laundry on-site, access to the Club House with shared indoor/outdoor hot tubs, and parking for one vehicle. 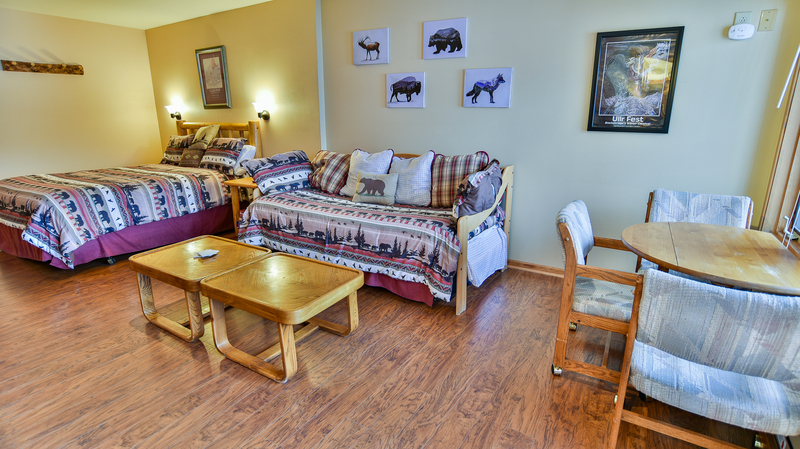 This is a fantastic studio in a great location. 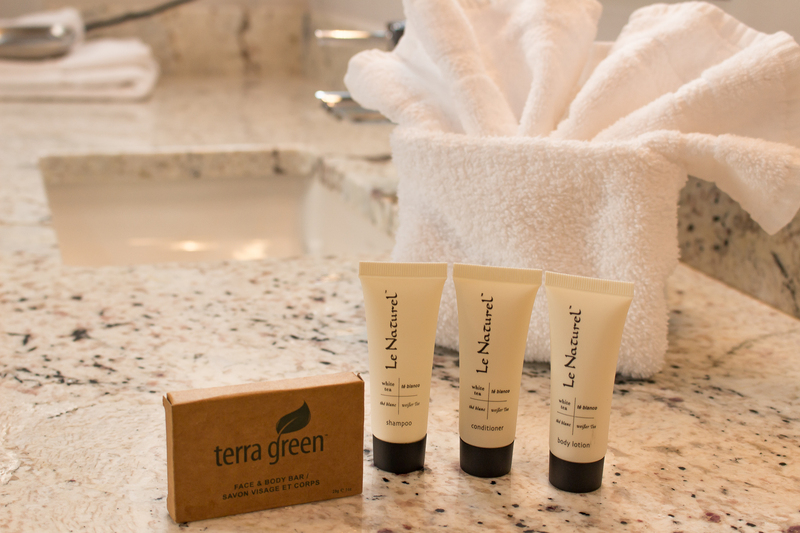 Call us or book online today! 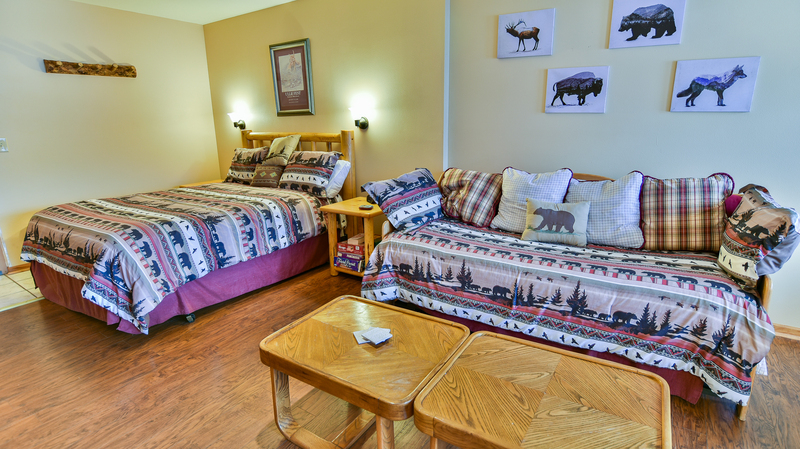 - Living room: queen bed, twin trundle bed (pulls out into two twin beds).